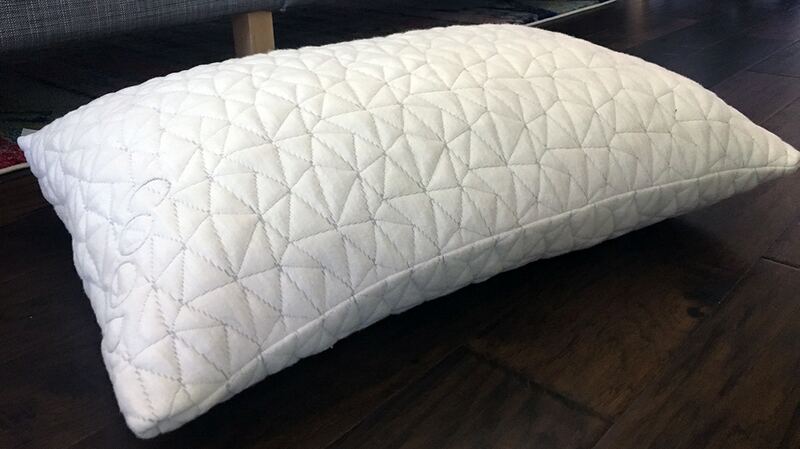 The eLuxury Supply Hotel White Goose Down pillow is as luxurious as you might expect. The white goose down offers a classic feel while the Coop Home Goods Adjustable Shredded Memory Foam pillow has amazing loft and support. 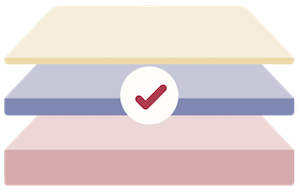 What else should you know? Read on for the full comparison. Read the full eLuxury Supply Hotel White Goose Down Pillow review here. 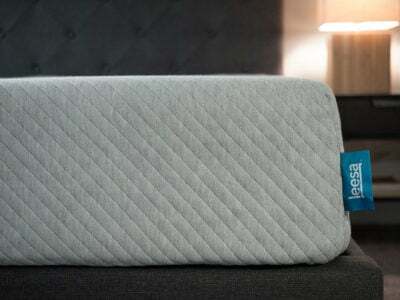 Read the full Coop Home Goods Adjustable Shredded Memory Foam Pillow review here. You like luxurious bedding. There is a good ratio of down to feathers in this pillow, making it high quality and helping to give it an overall luxurious feel. You are a back sleeper who loves down. 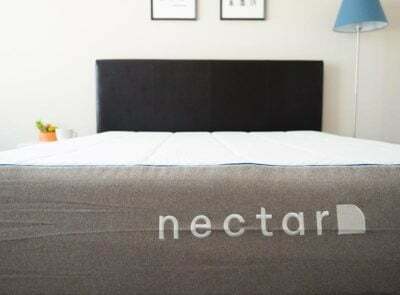 The pillow is designed for back and side sleepers, but in my experience, the level of filling and support makes it a better fit for stomach sleepers. You’re looking to splurge. 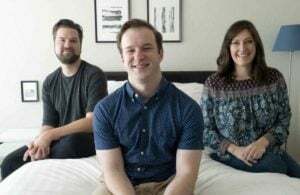 Good quality white goose down pillows don’t usually come cheap and a Queen size eLuxury Supply Hotel White Goose Down pillow will cost you nearly $100. If well cared for, it should last you a long time. You sleep in different positions during the night. 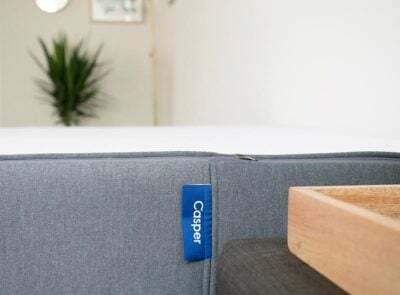 Coop Home Goods is adjustable and filled with pieces of shredded memory foam that you can remove based on your preference. 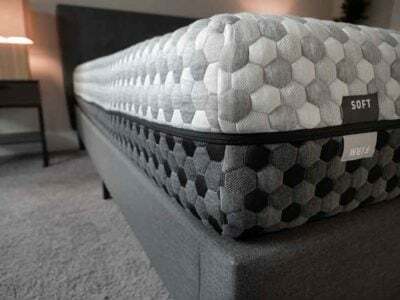 This pillow can feel comfortable for any type of sleeper and may be preferred by those who sleep in many positions who want a customizable option. You sleep hot. Feathers and down can retain heat, which makes them not a great fit for hot sleepers. Coop Home Goods’ the pieces of shredded foam allow air to pass through and made with bamboo fabric that is known for being breathable as well. You are allergic to down. 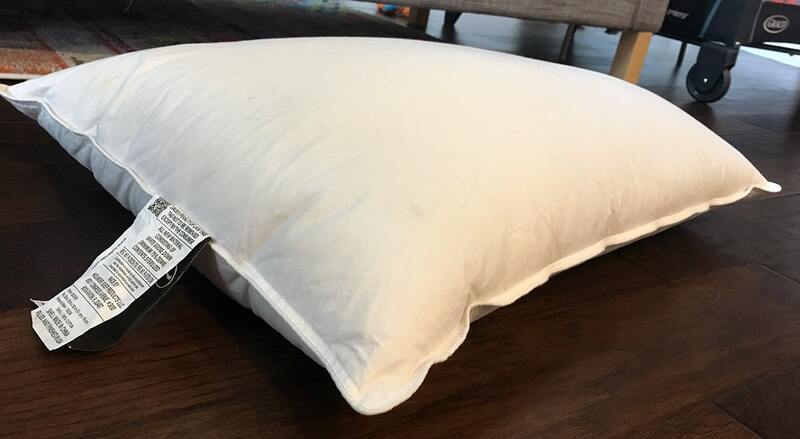 The Coop Home Goods pillow with its pieces of shredded memory foam is hypoallergenic and dust mite resistant, making it a good choice for those with allergies. From their fillings to their outer covers, these two pillows couldn’t be more different. 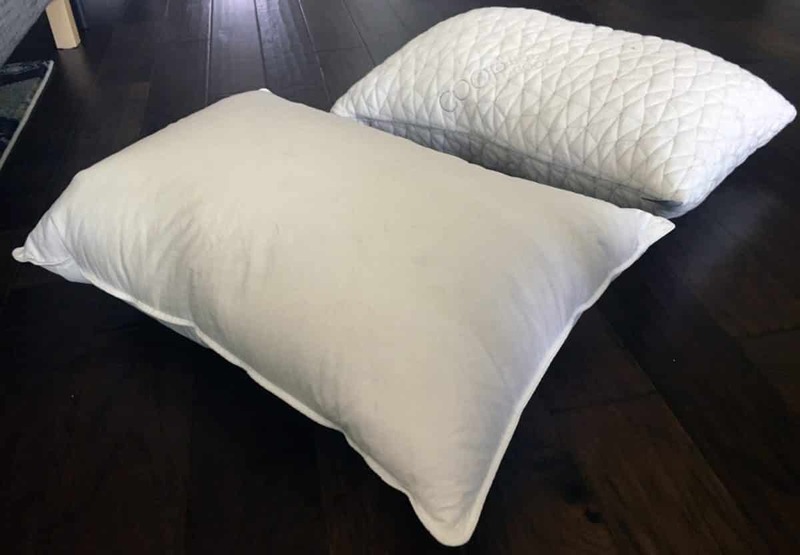 Down lovers who sleep primarily on their stomachs and who are looking for luxurious feel will want to stick with the Hotel White Goose Down pillow from eLuxury Supply. 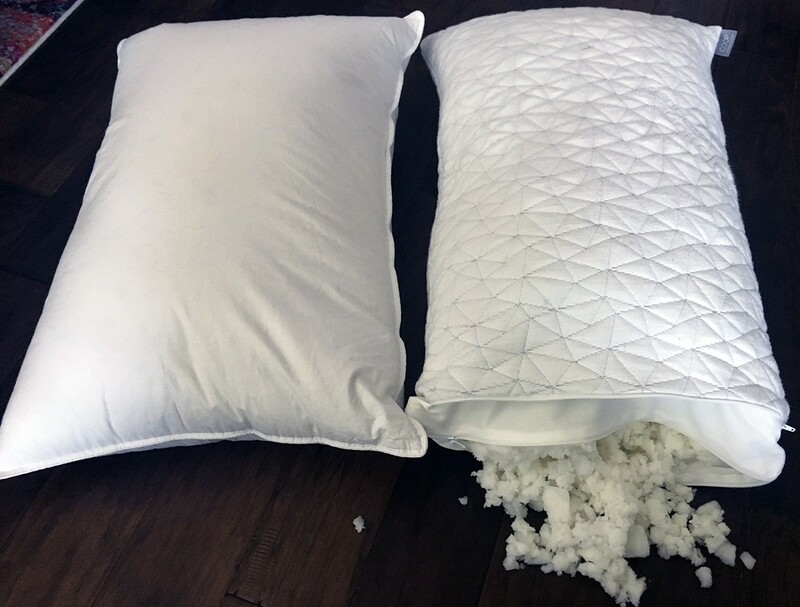 Those who are looking for loft, support, and are intrigued by the idea of shredded memory foam will love the Coop Home Goods Adjustable Shredded Memory Foam pillow. 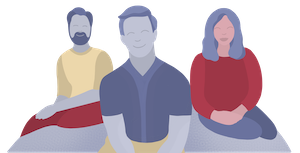 And for those who aren’t sure what they want or need – both pillows come with 30-day trial/return policies so you can give them a shot with little risk.